If I asked you to name your favourite musical genre, I’d probably get answers like jazz, pop, classical, rock, rap, metal, and many others. As far back as the 1930s, cars have been equipped with radios and drivers have had the luxury of music during their (often monotonous) commute. Today, radios in cars blasting music have become so ubiquitous that when a car doesn’t have a radio, it becomes an oddity. We’ve all heard the loud window-shaking thumping of a modified sound system and perhaps even enjoyed that ourselves. Given that a majority of people enjoy music while driving1, have you ever wondered how listening to music might affect us on the road? This was the question that a number of researchers attempted to answer over the years, some of whose results we shall look at in this article. 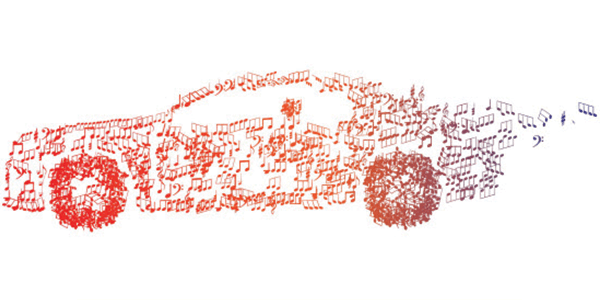 So, how precisely does music affect our driving? One of the common findings is that music influences the mood of the drivers. Researchers found that no music in the car was similar to listening to music that had a negative vibe and that music with a positive tone created a positive mood in participants. More interestingly, they found that listening to music resulted in a decrease in breathing in participants in general possibly indicating that they felt less stressed1. Other researchers also discovered that high-intensity music resulted in poorer performance and response times especially in difficult road conditions2. Another study found that as the tempo of background music increased, simulated driving speed and how fast drivers thought they were going increased. Increased tempo of music also resulted in an increase in collisions, drifting into other lanes, and disregarded red traffic lights3. Besides that, a study with novice drivers who generally listened to moderate to fast paced music at relatively loud volumes also found that they really enjoyed their own music. However, the trade-off was that listening to their music while driving caused more severe driving violations including speeding, inefficiency in maintaining attention on the road, traffic violations, and driver aggressiveness4. Yet another study found that interacting with a music device (e.g. iPod) was as detrimental to driving performance as using a mobile phone8. Other interesting findings were that jazz listeners were more likely to be receive a speeding fine while reggae fans were more likely to be involved in near misses10. In contrast to the findings above, two other studies found that music appears to play a role in reducing driving errors5 and reducing mild driver aggression (e.g. honking and hand gestures) during traffic jams but only when drivers are not in a great hurry7. Another study found that listening to loud music increased drivers’ mental load but this increase did not affect their driving performance. In fact, listening to music improved their response times to a hazardous event where they had to emergency brake to avoid a suddenly moving car and when needing to tail a lead car9. “But music helps me stay awake on the road!” To examine whether this claim was true, researchers in the UK examined whether a blast of cold air to the face or listening to their favourite music would help in keeping young drivers awake when they had little sleep the night before. They discovered that neither helped in reducing driving incidents (swerving onto another lane by accident) and only showed slight benefit in keeping drivers awake over long periods6. In these cases, they recommend either a 15-minute nap or a caffeinated drink. Looking at what researchers have found seem to indicate that listening to music in the car does not have many positive effects especially on driving. However, these studies may not be completely representative of a normal driver’s experience as a majority of the studies used driving simulators to replicate the experience of driving. Another issue is that most of these studies had a statistically small number of participants and their results may not be completely true for the majority of people. 1. Listening to music seems to help alleviate mood. If you’re feeling upset while driving, put on some calming tunes to chill out to. 2. The tempo, loudness, and complexity of the music we listen to can affect our perception of speed, be more distracting, and increase the chances of traffic accidents, especially among novice drivers, and especially when road conditions are dangerous. Switching to something with a slower tempo might be helpful in these cases11. 3. Pick your own jam, music that is unfamiliar and/or that we do not like can be more distracting and impact our concentration11. 4. If you’re on a long drive, and you’re listening to music to keep awake, it might be more helpful to pull into a rest stop, grab something with caffeine and/or a short nap6. Finally, drive safely and enjoy your drive! Car Doctors in the making at TOC Automotive College!